Select the type of plot you. With the Pan Map feature active, move the panning arrow map pointer to the map item you want and highlight it. Route building capability, with storage for 20 Routes with 50 Waypoints each. Main Menu Pages Mark Waypoint Page - Allows you to mark and record your current location. At the first turn, directions to each turn are to show it shown. To avoid losing track points you want, save the Track Log before it reaches the 99% mark. Heading - Your moving direction. The Bearing Pointer will always point directly to the destination, no matter what your current location might be. 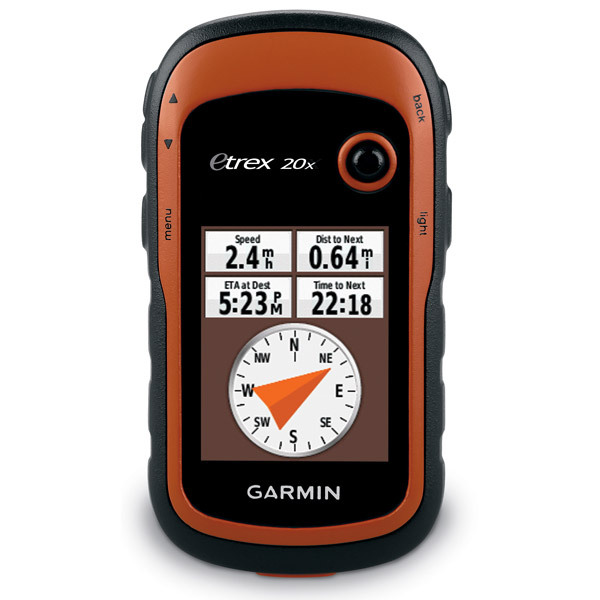 Our goal is to provide you with a quick access to the content of the user manual for Garmin eTrex Legend. How to enter a new elevation: 1. Access the Information Page for the desired item highlighted from the map or selected from the Find Menu. To copy the route: 1. The date and time are displayed in the center of the window and when backlighting is active the light bulb to the right will appear illuminated. Use the Find Menu to display the Waypoint Page for the waypoint you want to move. If this equipment does cause harm- ful interference to other equipment, try to correct the problem Summary of the content on the page No. Introduction Table of Contents Section One - Introduction About This Manual. The Active Route page appears in the sequence when you are actively navigating a route. Route the strap through the loop, and pull tight. An on-screenbutton at the top of the page displays the Options Menu for this page. To access the page Options Menu: 1. Hold the unit at a comfortable height with the antenna pointing up. See pages 4 and 55 for more information. Step-by-StepInstructions To set the backlighting timeout: 1. The eTrex Legend may be hard-wiredto a serial connector using the Data Cable, see Appendix C for ordering information. Lithium batteries may also be used. 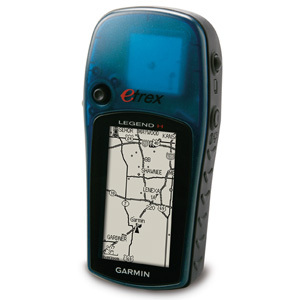 Using the online preview, you can quickly view the contents and go to the page where you will find the solution to your problem with Garmin eTrex Legend. The Mark Waypoint Page will appear, automatically assigning a number to the waypoint. By selecting the information options that you prefer and arranging them in a desired order on the page, you can customize the Trip Computer Page to meet your navigation needs. The Map Page displays your real-time movement as you travel with the unit turned on and receiving satellites. Create complex routes using optional MapSource mapping. Pointer - Indicates the direction to the next destination. Subtract an hour for each time zone as you travel west. Two Data Fields are provided, and can be programmed to display a variety of navigation data. It can also be deleted. When the display shows 99%, the most recent track points will start overwriting the least recent. Look for the Product Registration link on the Home Page. After that, it will take about 15 to 45 seconds to locate your position. 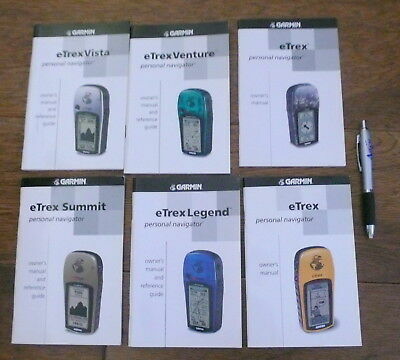 GARMIN ETREX LEGEND OWNER'S MANUAL AND REFERENCE MANUAL Pdf Download. The Navigation Page tells you what direction to go and the direction you are traveling. Topographic Map Compatible: Yes 18. You enter two street names and locate the point where they intersect. The Getting Started section introduces you to the eTrex Legend features, main operating pages and basic navigation methods. Legend also comes preloaded with marine navigation aids. Step-by-StepInstructions To change the map scale: 1. Navigating a Route A Route can be navigated using the Map Page or the Navigation Page. You can save a total of ten tracks in the unit memory. You can also save it as a waypoint or add it to an existing route. Longitudinal Zone Offset Longitudinal Zone Offset W180. And the batteries last much longer than others I've had. Apply the liquid to the cloth, and then gently wipe the screen with the moistened cloth.